Bottles of homebrews at an STL Hops meeting. 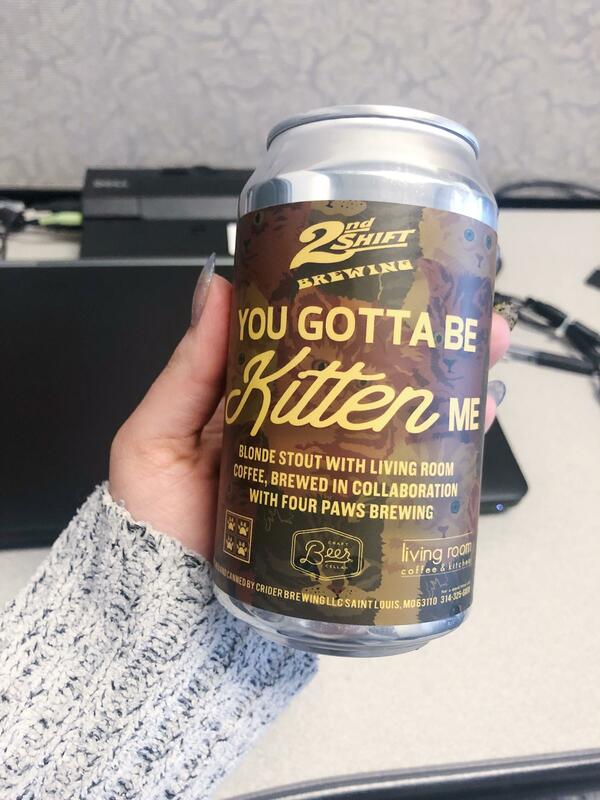 Suzie Emiliozzi and her husband's home brewery, Four Paws Brewing, collaborated with 2nd Shift Brewing to create the "You Gotta Be Kitten Me" blonde stout with Living Room coffee. The guests noted that while homebrewed creations aren’t as easy to come by as commercial beer, that doesn’t mean they’re completely inaccessible to outsiders. Interested beer drinkers can try the unique batches by joining various homebrew clubs or by visiting creators’ tents at various beer festivals. Some homebrewers devote as many as 20 hours a week to the hobby, Meier and Emiliozzi said. Besides conducting the brewing process itself, they devote time to planning and reading up on their next creations. Related: Check out Sauce Magazine’s Guide to Beer for more information about upcoming beer festivals. “St. Louis on the Air” brings you the stories of St. Louis and the people who live, work and create in our region. "St. Louis on the Air" producers Alex Heuer, Evie Hemphill, Lara Hamdan and Jon Lewis give you the information you need to make informed decisions and stay in touch with our diverse and vibrant St. Louis region.